Fastlane: What is Fastlane about? It is about the amazing capabilities and speed of the human mind and its host of functions that are important for the survival and advancement of Man and his community. These include learning, thinking, memorizing, communicating, balancing, stabilizing, creating, visualizing, decision making, problem-solving and many more. Undoubtedly the mind plays such an important role in our lives that many are preoccupied with its proper development and care. Besides parents who are the first to influence and teach the minds of their children, we have teachers, tutors, and counselors assisting them in the field of education. In the field of science, we have specialists involved with the study, improvement and even the repair of the mind such as psychologists, psychiatrists and a host of other specialists divided into sub-branches of science that include neuroscience, anthropology, biology, metaphysics, computer science, linguistics, sociology, genetics, mathematics and many others. I started off as a beneficiary of an educated mind from a young age due to the belief of my father in educating all his children. Having raised 6 children with my wife in our own family in a similar but more 'innovative' way, I feel confident of sharing my understanding of the workings of the human mind to help others improve their own. It was 'innovative' due to greater exposure to technology that I had in my era compared to my father plus my life from adolescence onwards took quite a different path. Air travel was more accessible and I have had the opportunity to visit over 30 countries in my lifetime. I also had opportunities for work in multidisciplinary industries as well as for service at Church and other non-profit organizations. All that further opened up my mind. Despite the many achievements in my life, I still regard myself as an ordinary man blessed with extraordinary accomplishments. I have always felt my achievements were not due to inborn gifts that I was endowed with but were due to learned mastery of many ordinary daily processes of life that anyone could achieve but did not due to lack of self-awareness in how the mind works and its powerful potential. It was only much later in my life that I started to do more serious research about it by reading the latest writings and discoveries on the mind and the brain. With the advent of the internet, I could glean much information and could participate in online courses and discussions with leading researchers in the field I was interested in. In my Creative Support Centre office in Kuala Lumpur in July 2002, I worked with a team to help me start off an on-going research focused on Optimal Performance and Thinking with the objective of helping Organizations to become more effective. This is the OPTION offered to organizations facing unprecedented challenges in the fast-changing world today ie. Optimal Performance & Thinking In OrgaNizations. The optimal performance of any organization rests on the synergy of its people. Inevitably increasing the effectiveness of an organization involves improving the effectiveness of each individual besides looking at the organization as a whole. Whether they are leaders, supporters or followers, each individual has a complex mind where increased awareness of oneself and the relationship with others is necessary to increase the ability of the organization as a whole to futurize itself for greater success. The optimization of the capabilities of the human mind to cope and excel in an environment that is fast changing is, therefore, an underlying strategy of the Fastlane initiative on working with individuals where the OPTION stands for Optimal Performance & Thinking In ONeself. Personal thoughts of this initiative were kept in my mind from the moment a decision was made to start the focus research in 2002. In 2005 was the beginning of recording my personal experiences in blogs that became a useful process to extricate volumes of useful information from my mind to be documented online as my personal journals. You can read in this early post how the idea of the existence of the Body Mind and Spirit was mentioned with no further elaboration. This concept was probably kept in my subconscious mind that helped create an alignment of thoughts which lead to a realization event that occurred thousands of miles away from home later in the same year. 7 years later, I began a personal research to publish a book when my wife passed away, perhaps prompted by a close relation who said I should write a book about her. In my mind over my lifetime, I had already been thinking of publishing many books due to my extraordinary experiences in diverse fields but found myself always too busy and preoccupied with a large family I raised, the large businesses I managed and a large Church I had committed to serving. I approached the goal of writing a book using the very OPTION strategy I discovered for myself. I was aware of the need to research and understand what principles or strategies the world has been employing in the past and present, whether in the Western or Eastern countries, to achieve what I regard as Optimal Performance &Thinking irrespective as to where we come from. The research was necessary to augment my own Consciousness beyond what I had already attained prior to the decision to proceed with the goal to write my first book to be published. This is where I found the teachings of Plato, an ancient Greek philosopher best known as the author of philosophical works of unparalleled influence, especially to the Western world. Interestingly, he had identified the tripartite soul of Man as one with Appetites, Reason &amp; Spirit. Now I've never really seriously read about Plato or studied philosophy for the following reasons. I was a math and science student who later switched to study business to become an accountant who eventually created a consulting business in management and information technology. I had also met my spiritual or philosophical needs through a Church I had joined just before I graduated and followed it's tenets the rest of my adult life to the current day. The Church has an article on the teachings of Plato with reference to the scriptures too. I had developed my own Consciousness living in the world. Philosophy or any other subjects like history or politics was outside my realm of interest until I decided to write a book based on Human Consciousness starting with my own! I was amazed that my simple Body Mind and Spirit model could co-relate with Plato's Appetites, Reason and Spirit with the last domain using the exact word choice! I know with my practical spiritual life experiences during my entire adulthood, I can present more than what Plato did in his philosophy of the human soul. I have the advantage of the passing of time to look back at history where several empires or kingdoms have come and gone. I have the convenience of cloud technology to look back today at well-documented history as well as to keep up with the latest discoveries of our modern world where the Oriental East and the Occidental West benefit from the rapid exchanges of knowledge. 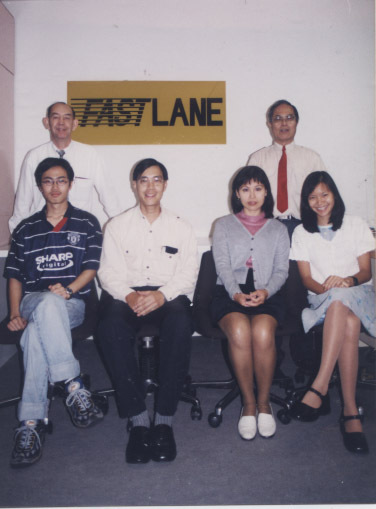 This FastLane blog is a representative of the Mind or Reason theme which has played a central role in my work or professional life. Much of my researched information will be shared here focusing on how from one optimal mind connecting to another, a whole organization or community can transform to achieve best results which I have termed as Optimal Performance & Thinking or OPT So to clarify the symbols, acronyms and definitive words I have used, Fastlane is representing the human mind or thinking part of the human soul. Familylane represents the Body part and Spiritlanelane our fine matter or energy of the human soul. Hence Optimal Performance and Thinking is the best performance of the Body and Mind energized by the Spirit or when the 3 parts of the human soul are fully integrated. One can watch this video to learn about the Anatomy of the Spirit from a medical intuitive person. Another video to watch is about the healing effect of prayers from a MD author. From simplicity to complexity is what the mind is capable of and for a blog intended to focus on MIND matters, it will use the aid of highlighted hyperlinks as in the above paragraphs to allow the reader to click for more complex details or explanations while keeping the blog simple and fast to read.